Back in April 2015, &&& launched Creative Corner, underpinned by our belief that the design industry cannot be complacent about the importance creativity plays in all spheres of business. Together we need to be able to redefine and understand how to own and be creative, adding a tangible value to the work we are all producing. Creative Corner has been defined by our monthly meet-up where we openly share the need-to-knows in the shifting landscape of the creative industry. What it’s really like and what you really need to succeed. Today, we must thank all the inspirational speakers who have shared their knowledge and you, the audience, who have shaped question time into such a compelling debate. Together you’ve brought Creative Corner to life making it one of the fastest growing creative meet-ups. Much has happened in 2015 but our story like our ambition does not stop here. Currently we are actively seeking Sponsors and Partners who intrinsically understand the value of creativity. Like all good ideas we believed it just had to start and where better than our studio, located at the heart of the East End of London. The inaugural Creative Corner kicked off with a ‘Content Strategy Masterclass’ by the compelling Elizabeth Malone-Johnstone. Who shared how the role of a content strategy fundamentally influences the design decision-making process. The inquisitive minds that made up the small gathering sparked our imagination and solidified the importance of Creative Corner. Emphasising that disruption would be the bedrock for all that would follow. Informing the subjects, the platform and our approach. We found ourselves rearranging the furniture to accommodate a growing audience. Firstly we welcomed the film-maker, producer and director Ben Stevenson who took us on a journey into the whys, the hows and the whats of film-making through ‘Story, ideas and aesthetics’. Promptly followed up by the Creative Director Ash Gibson sharing ‘Brands in the Age of Reduction’; offering us an enlightened insight into the changing landscape of brand communication in a digital world. We took a brief break from the studio location and threw into the creative mix the vision of the Architect Mark Sciberras with ‘Work, Coffee, Work‘ which transpired to be an openly candid account of what a creative startup needs to succeed. 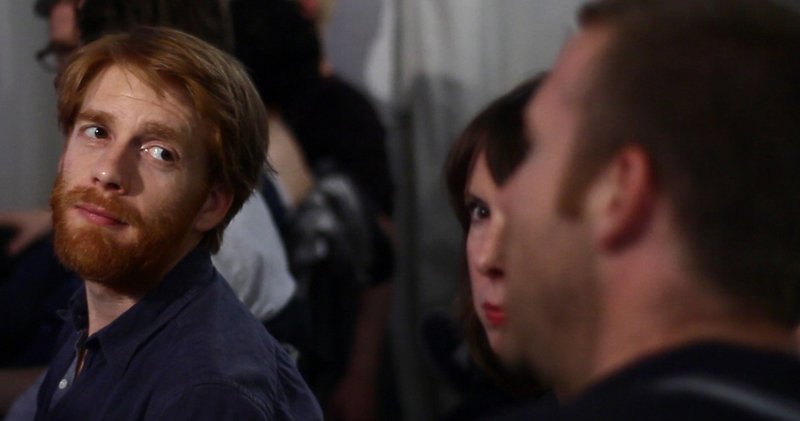 If you missed it, don’t fret as this meet-up was the first we documented through video. Enjoy the highlights! The last Creative Corner to take place at our studio saw the firebrand Rob Boynes share his provocative thinking with an even more provocative title ‘Facebook killed your designer’. 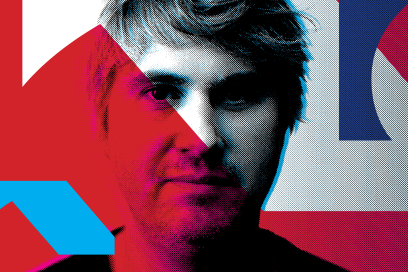 Posing the question: what’s next for digital design in a post-modernist era? Accentuated by our second highlights video of the knowledge that was shared and the debate that transpired. Things really changed in September, BOOM! With 183 tickets booked for ‘How to have a digital hit’ we needed to find a new home. Ta-Dah! Campus London, a Google space joined the conversation as the first secret venue for Creative Corner. Where the inspirational author, broadcaster and journalist Sam Delaney and the disruptive Creative Director Jay Pond-Jones started ‘How to have a digital hit’ with the statement “If you want a digital hit throw a cat in the bin… it will probably get shared but to what ends?”. We knew it was going to be good, but not that good. If you want to know ‘How to have a digital hit’ look no further than the highlights now online. 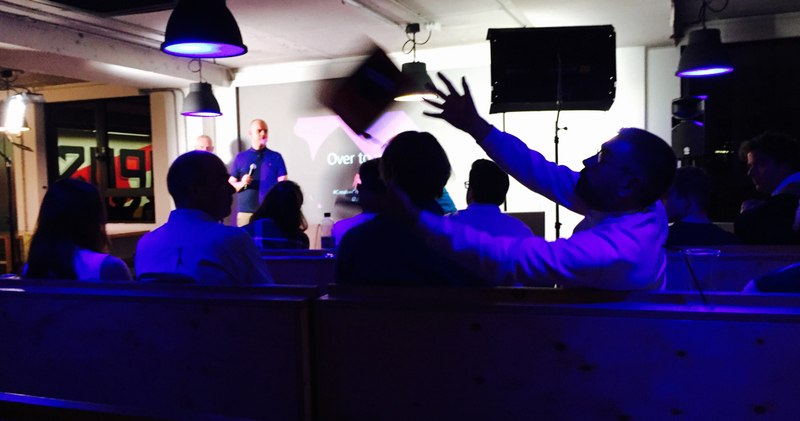 We transformed Question time into ‘Over to you’ with the help from our friends at Catchbox, the worlds first throw-able audience mic. Our love for onomatopoeia’s went to new levels with Wow, Wow, Double Wow. Punctuated by our Creative Corner goody bags filled by our new friends at Faber & Faber, Edition Digital and ColourBolt. It’s no surprise the following month Moo and Abel & Cole added a surprise or two. The interest in Creative Corner has meant we now regularly have in excess of 100 bookings online. Think we’re gonna need a bigger space very soon. We published the first Creative Corner Uncut showcasing the undiluted inspiration from ‘The Importance of tearing up the rules in design, code and music’ that made this meet-up a Wapping success! On the night the illustrator Josephine Ford brought the creative debate to life through her live illustration. Isabel Tims, our first guest compére, tore up the rules alongside our Creative Director Simon Brown, the coolest tech head we know Jure Cuhalev and the musician Patrick Doyle invited themselves to unexpected places. The first time Creative Corner had three creatives go back-to-back, sharing their knowledge at the secret location, shhh… The Dock at Tobacco Dock. With the audience transforming ‘Over to you’ into thirty a minute discussion. If you’ve enjoyed what we’ve done with Creative Corner your gonna love the disruption ‘Think Design, Create Emotion’ will bring to The Proud Archivist. 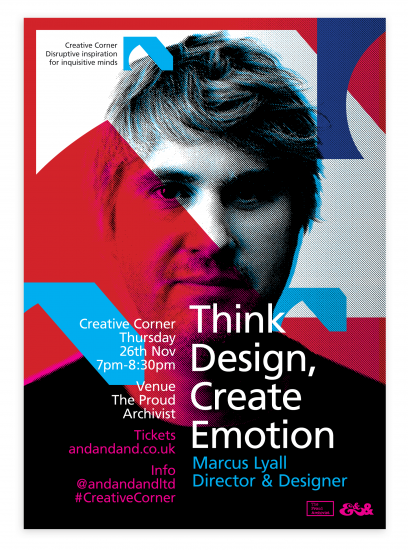 The director and designer Marcus Lyall will be sharing the low-down on emotion and design. If you’ve seen his latest collaboration ‘On Your Wavelength’ the interactive light and music composition controlled by your mind you know what we’re saying. See you there. The design head at &&& are dedicated to making Creative Corner the meet-up where you will be inspired, develop collaborative partnerships, build your knowledge, be part of the creative community. Most importantly have fun. Stay posted as 2016 is gonna rock. Thursday 29th Oct 2015, will be a disruptive first for Creative Corner as we bring together design, code and music all under-one roof. Sharing the importance of knowing when to break the rules. Revealing what you need to succeed.